The State of the Science Conference is brought to you by Maine Center for Coastal Fisheries, the Maine Department of Marine Resources, and NOAA Fisheries. Keep reading to learn more about their partnership, the Eastern Maine Coastal Current Collaborative. The conference is hosted by the Eastern Maine Coastal Current Collaborative (EM3C) partners: Maine Center for Coastal Fisheries, NOAA Fisheries, and the Maine Department of Marine Resources. The partners are tasked with developing a research framework that supports ecosystem-based fisheries management in the Eastern Maine Coastal Current and its associated watersheds. Taking an ecosystem perspective, they seek to understand not only the biological but the economic and social interactions that may lead to changes in Eastern Maine over the coming decades. A nonprofit working to secure a sustainable future for fisheries and fishing communities in Eastern Maine by supporting today’s fishermen, educating future generations, and inspiring community stakeholders to become advocates. They facilitate innovative programs, creating a place where co-management of the ecosystem can be shared by fishermen, community groups, scientists, and fisheries managers at the finest scale. The result will be an industry that can adapt and persevere, even as climate and oceans change. 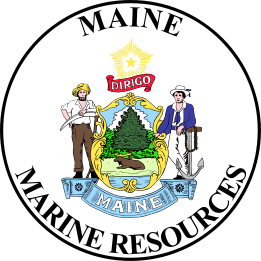 Established to conserve and develop marine and estuarine resources; to conduct and sponsor scientific research; to promote and develop the Maine coastal fishing industries; to advise and cooperate with local, state, and federal officials concerning activities in coastal waters; and to implement, administer, and enforce the laws and regulations necessary for these enumerated purposes. An agency within the National Oceanic and Atmospheric Administration, NOAA Fisheries is responsible for the stewardship of the nation’s ocean resources and their habitat. They provide vital services for the nation: productive and sustainable fisheries, safe sources of seafood, the recovery and conservation of protected resources, and healthy ecosystems – all backed by sound science and an ecosystem-based approach to management. Conference tickets are on sale now. Visit the ‘Registration’ page for more information, or click the button below to secure your spot.